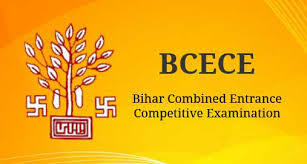 The BCECE aspirants can easily download the application form for the examination online from the official website of the Bihar Combined Entrance Competitive Examination Board. The application form can be downloaded from the very first week of April 2019. Applicants who submit their forms on time and without any error are eligible to appear for the examination. The application form contains all the details that the candidate has entered during filling the online registration form. The application fee can be easily paid by the Credit/Debit/Net Banking.